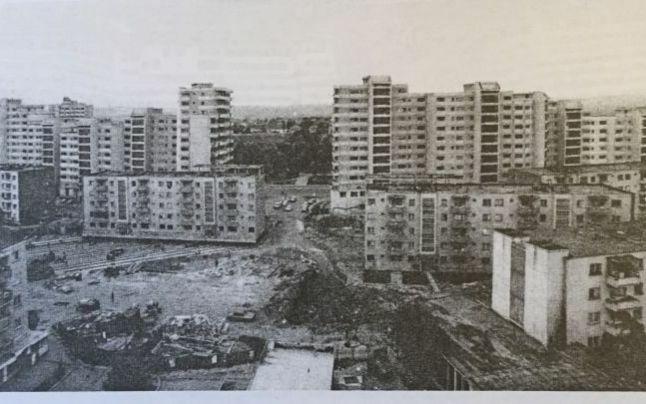 During the Romanian communist era on May 27, 1987 on a ordinary Wednesday at 08:35 AM in the city of Alba Iulia an entire apartment building (100 meters long) was moved to create space for the impressive Transylvania Boulevard. How did this get made? The engineers decided to split the 7,600 tonnes structure in two halves. 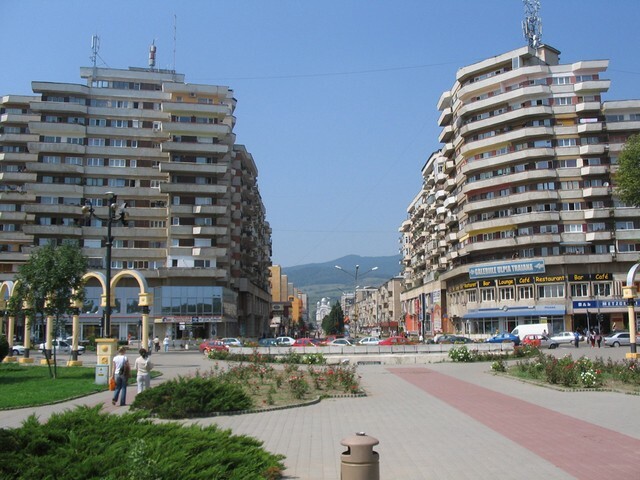 One half was moved on the right side of the boulevard, the other one on the left by digging under the building, putting railways and wheels and moving it 55 meters away with the help of a network of hydraulic jacks placed under the framework that was fixed under the structure to support its weight. The whole operation took place without any incident in less than six hours. And all this was done without evicting the residents from the building. The building remained connected to all the utilities (water, gas, electricity, telephone and sewage) during the entire moving process. Urban legends say that dozens of residents went out on the balconies to observe the procedure while drinking a coffee or a beer. But there is more, because a housewife decided to place a glass of water on the edge of her balcony and it didn’t spill a drop, demonstrating that the movement was extremely smooth although it was the fastest displacement ever made. 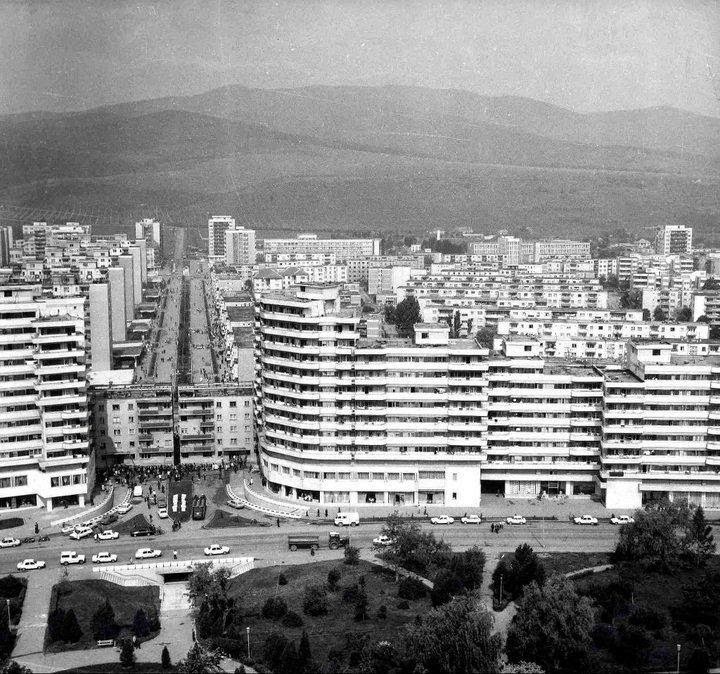 Ceausescu, Romania's communist leader had an ambitious program of urban planning to carry out during his regime which consisted mainly in the demolition and reconstruction of already existing towns and cities, with the stated goal of turning Romania into a “multilaterally developed socialist society”. In this context one of the city's big boulevards had to be widened, but the specialists were blocked by an apartment building. Therefore they had to decide between demolishing the entire structure and moving it. But because the cost of repositioning the structure was cheaper than demolishing and rebuilding it from the scratch, they decided to move it. The mastermind behind the project was the engineer Eugen Iordăchescu who saved from demolition dozens of buildings including churches and monasteries all over the country. He gave exactly 30 years ago to 80 families from Alba Iulia the opportunity to travel together without having to pack their bags and get out of the house. Who would have thought that on a regular wednesday of May 1987, when the hit of U2 - “With or without you” was just been released, thousands of miles away, in the heart of Transylvania, in the city of Alba Iulia, a fabulous project would exceed the limits of any imagination? After 30 years, the building is still solid and inhabited because there have been no problems at all with the resistance structure.